Imagine being told you had the job of a lifetime while standing in the liquor section of your local supermarket. Doctor Who’s latest musical composer, British-Nigerian Segun Akinola, chuckles when he tells that story and you know he will be dining out on it for years to come. “I was in the wine aisle when I got this call from Chris – there was a lot of background noise,” he said. And though it was offered, there was no chance that Segun was going to take the call later – because let’s face it, when you get a life changing phone call you hang up! The phone call was the end of what had been a long audition process which included putting together a piece of music for the show – a piece that obviously impressed both Chris Chibnall and fellow Executive Producer Matt Strevens ,as it became the Doctor’s theme. And so it was that the Royal Birmingham Conservatoire alumni was chosen to replace the beloved Murray Gold, who had been the man behind the music of the show since it returned. And with him he has brought a new sound to the program using everything from Punjabi musicians (recorded at Abbey Road) to dub-step and music to evoke the US in the ’50s. 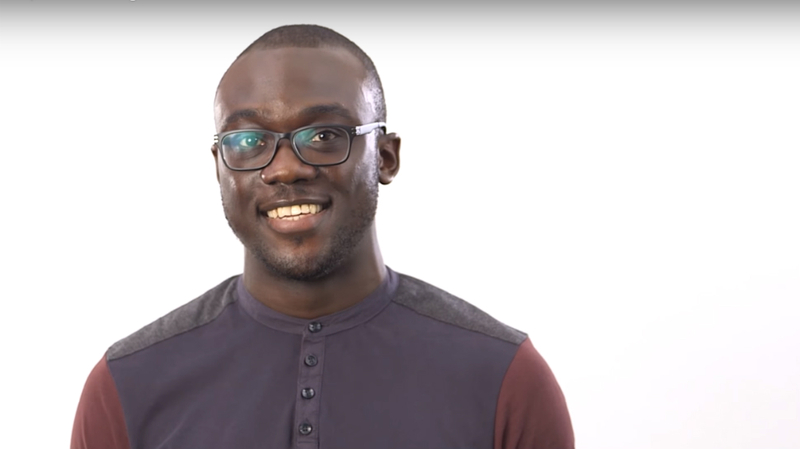 They were big shoes for Segun, who had initially learned the piano and drums at an early age before turning his attention to composition, graduating from the Royal Birmingham Conservatoire with first-class honours and the National Film and Television School with an MA in Composing for Film and Television, before being part of the BAFTA Breakthrough Brit program in 2017. And while his selection was a surprise for fans, it wasn’t entirely unexpected. “I’ve done quite a bit of work with the BBC,” he explained and so when he was asked to audition it was not entirely shocking. A meeting with Matt Strevens and Skyping with Chris Chibnall and it became apparent that they already knew his work on Black and British: A Forgotten History and Exhibition Volcano and he felt “welcome from the start” despite not really being a fan of the show. “I hadn’t really watched Doctor Who – I always knew about it, it is such an important part of British Society,” he explained. “I knew about it musically, I knew about Murray Gold and what he’d done with bringing this great orchestral sound to the small screen. Of course, as he went through the selection process he began to watch and is now a fan. However, coming from the outside may have helped the young composer, who explained that both Strevens and Chibnall wanted him to put his own stamp on the show. And this brings us to what is probably the most talked about part of his tenure so far – the reimagining of the theme song and THAT beat drop. Preparing for this interview, that was the question that kept coming up – ask him about the beat drop in the theme song. Segun laughs and explained that even in the early meetings it was very apparent that Chris and Matt had the same idea he had – taking the theme back to the original, while they were also very keen to put his own stamp on the shows music and make it his own. “They said we have people who know all about the music – bring some of yourself to them,” Segun explained. And while he dropped his signature beat drop through the middle of the season, listen out for more as we head to the end – which he was still working on during this interview in late November. And the other big question – will we see his music at big orchestral concerts like his predecessor? Well while there are no plans, the affable 20-something said it was something he’d love to see in the future – and given the different types of music used in the show this series, it would be another big challenge (something he seems to relish).